Frontline Responder Services very own John Becker was invited on Living Clean & Sober. Living Clean & Sober explores what it’s like to live and sober. Call in LIVE Mondays 8:00 – 9:00 pm with Your Questions & Comments! Our staff of former first responders help to create an environment of therapeutic comfort and ease through sharing in their own experiences. At Sprout Health Group, we acknowledge and understand the underlying sources of a First Responders’ reaction to the stresses of everyday life…and support their path back to their family and job. John Becker Jr. has experience as a police officer, clinician, and outreach professional. John also possesses a personal understanding of substance abuse among first responders, having overcome addiction in his own life. He is the Director of First Responder Services, for Sprout Health Group and was instrumental in developing and implementing Frontline Responder Services. 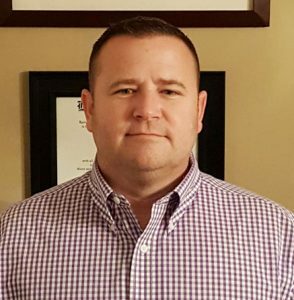 John is an active member of the Montgomery County (PA) Critical Incident Stress Management (CISM) Team and is certified by the International Critical Incident Stress Foundation (ICISF) for individual and group interventions. As a member of the Employee Assistance Professionals Association (EAPA), John is skilled in working with unions, human resource departments, internal and external EAP’s, agency counseling units, and peer support organizations. John is also a member of the Association of Traumatic Stress Specialists (ATSS) and has earned the designation of Certified Trauma Responder (CTR). Additionally, John is a member of the National Police Suicide Foundation. John continues to provide training to agencies and organizations, throughout the country, on topics such as stress, trauma, suicide, and addiction, as they relate to first responders. He can be reached at 215-833-1572 or JohnB@SproutHealthGroup.com.